Microsoft has officially introduced the new Xbox One X gaming console, which allows you to play games in 4K resolution with life-like detail and faster load times. The new Xbox One X sports an 8-core Custom AMD CPU that is clocked at 2.3GHz paired with 8GB of flash memory and 1TB of HDD internal storage, which is said to bring enhanced AI, real-world details, and smoother animations. It also comes with 12GB GDDR5 of graphic memory at 326GBps. Microsoft claims that the Xbox One X offers 40 percent increase in power, yet it is still considered to be the smallest gaming console that the company has ever made. Other specs include a 4K UHD Blu-ray optical disc drive, HDMI 2.0b out, and HDR10 support. 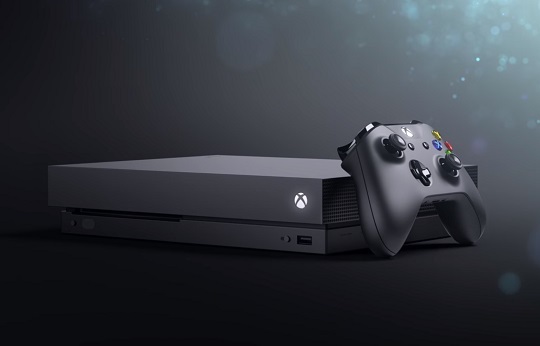 With Microsoft's latest gaming console, you can enjoy playing 4K exclusive games such as Forza Motorsport 7, Crackdown 3, State of Decay 2, Sea of Thieves and Super Lucky's Tale. The new Microsoft Xbox One X will be available for purchase starting on November 7 this year at USD499 or about Php25K.